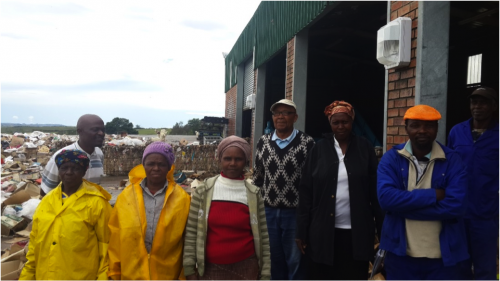 SAWPA has been in negotiations with government at all levels about their recognition, particularly receiving recognition in some municipal areas that has since resulted in new projects on the ground. 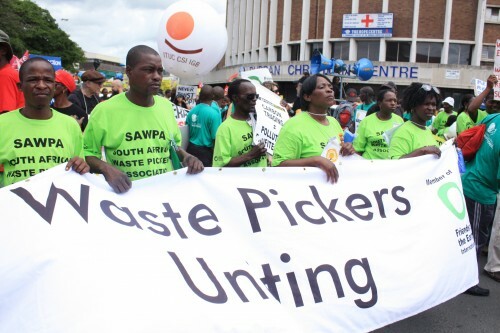 There are various projects in which SAWPA members are involved. 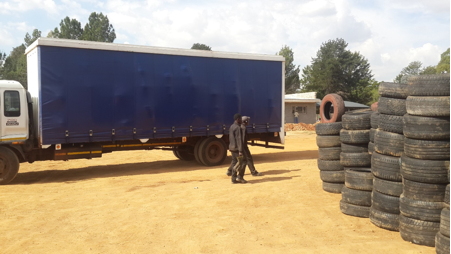 The South African Waste Pickers’ Association (SAWPA) are in the process of registering with REDISA as tyre collectors and/or transporters. 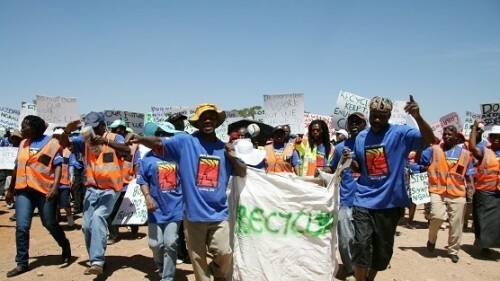 Waste pickers are already in the business of recycling and this plan is just adding one more waste stream to collect. 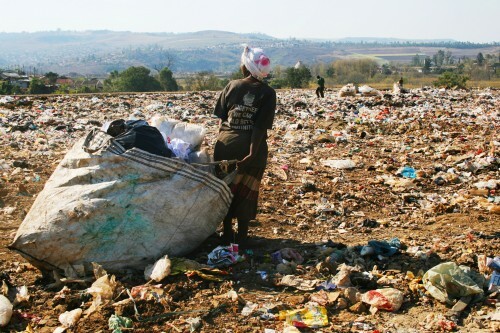 Instead of supporting the local social economy, Msunduzi Municipality has signed an agreement with Wildlands Conservation Trust to take all recyclable waste from Pietermaritzburg. 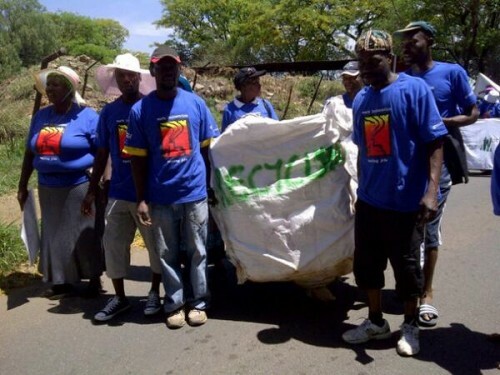 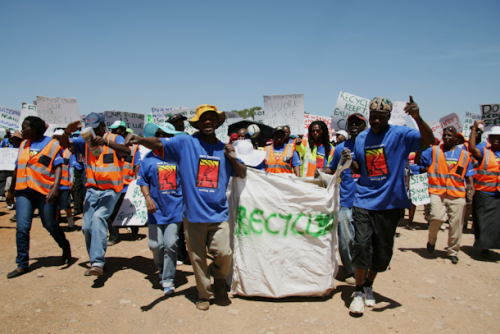 Nov. 8 march against incineration: Waste incineration is wasting jobs in South Africa! 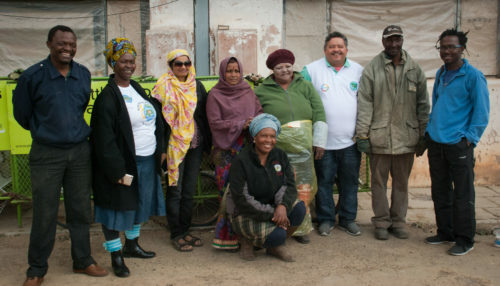 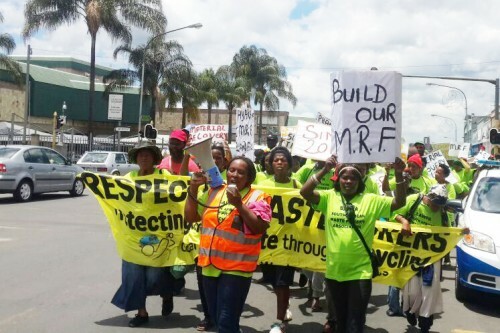 Despite South Africa’s waste management legislation stipulating that incineration be the last resort in waste disposal, approximately 300 waste pickers on the Chloorkop landfill in Kempton Park are set to lose their jobs as a result of Enviroserve’s proposed waste-to-energy incinerator.